Six answers are undefined and can be treated similarly to get six new words, all of a kind.The introductions can be arranged to give a seventh word of the same kind. 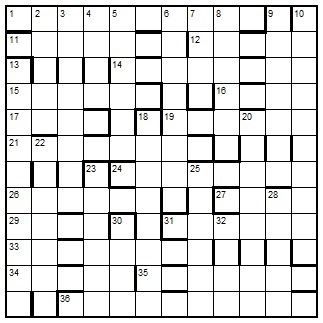 Write this word below the grid. To enter this competition, send your entry as an image or in list format, to ccpuzzles@talktalk.net before the 8th August 2015.The first correct entry drawn from the hat will receive a book from the Chambers range which has been donated by Chambers. Please note the new email address.